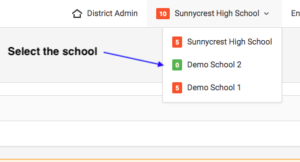 You are here:HomeHow do I add a staff member? 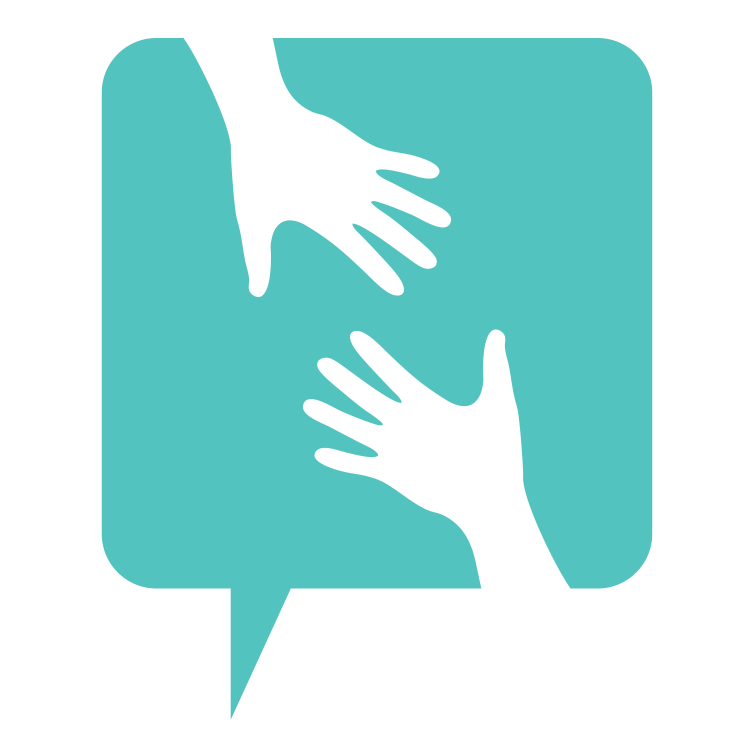 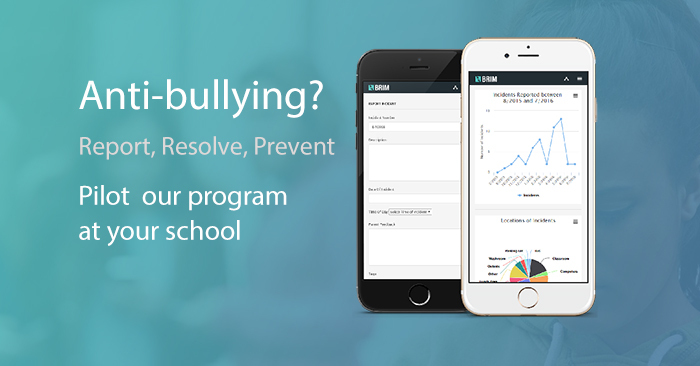 Login to BRIM by visiting https://admin.antibullyingsoftware.com and entering your username and password. 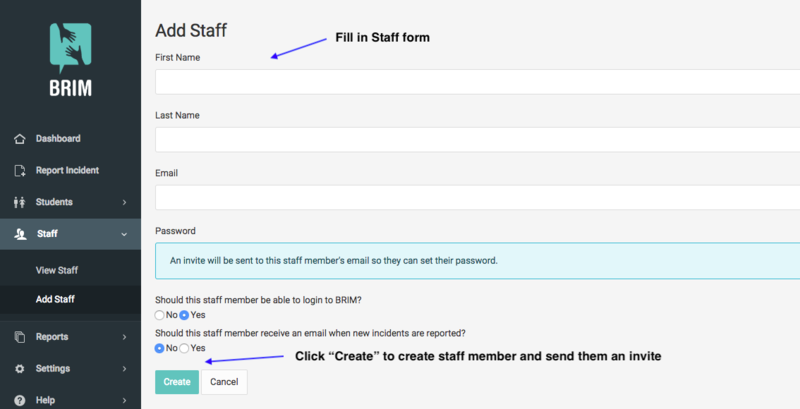 If you do not have a username and password, please contact your admin team. 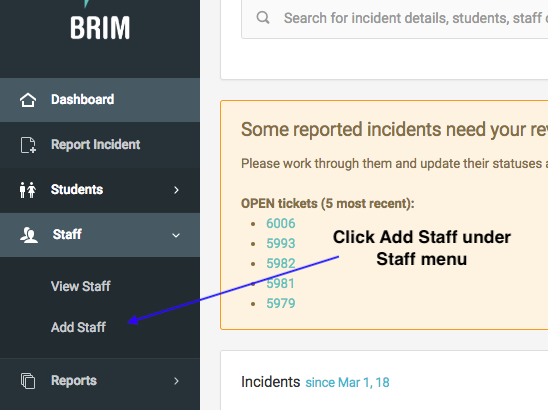 Select whether this staff member should receive email notifications when new incidents are reported.